One of the pitching sensations of the 1959 major league season is a 35-year-old cotton farmer from North Carolina who throws a baseball for the Baltimore Orioles in a such a way as to make strong batters weep with frustration and to cause his own star catcher to fall on his reddened face in frequently futile efforts to perform his primary duty, i.e., catching the baseball. The name of the pitcher is Hoyt Wilhelm and his excruciating pitch is called the “knuckle ball,” although knuckles actually have nothing to do with its diabolic success. Wilhelm uses it with such effect that he won his first nine games, allowing befuddled opponents less than one earned run a game, making him the most efficient pitcher in baseball. Included in the nine victories were three over the Yankees, three shutouts and a one-hitter. What then is a knuckle ball and why doesn’t every pitcher throw one if it is so devilishly devastating? In the first place, it isn’t a knuckle ball at all. “It’s a finger-tip ball, not a knuckler,” says Wilhelm, displaying carefully filed-down fingernails on his index and middle fingers. Wilhelm grips the ball with his thumb and the very tip of these two fingers (see the detailed illustration above) and lets fly with a relatively easy side-arm motion. From that point on neither he, nor the batter, nor his own catcher knows what course it is going to take. For most of the 60 feet 6 inches of its journey to the plate the ball does nothing much but float easily and almost enticingly toward the expectant batter. This, as it turns out, is only a sly come-on, for suddenly it begins to bob and weave like Floyd Patterson moving in to throw a left hook. It wobbles, it flutters. It dances and dips. And then, finally, it darts dizzily off in one direction or another — sometimes down, sometimes sideways, occasionally even up — while the batter bludgeons the air and the catcher makes his frantic lunge. The knuckle ball, or variations of it, has been used for years, but only a few pitchers have been able to control the thing with any reasonable degree of success. 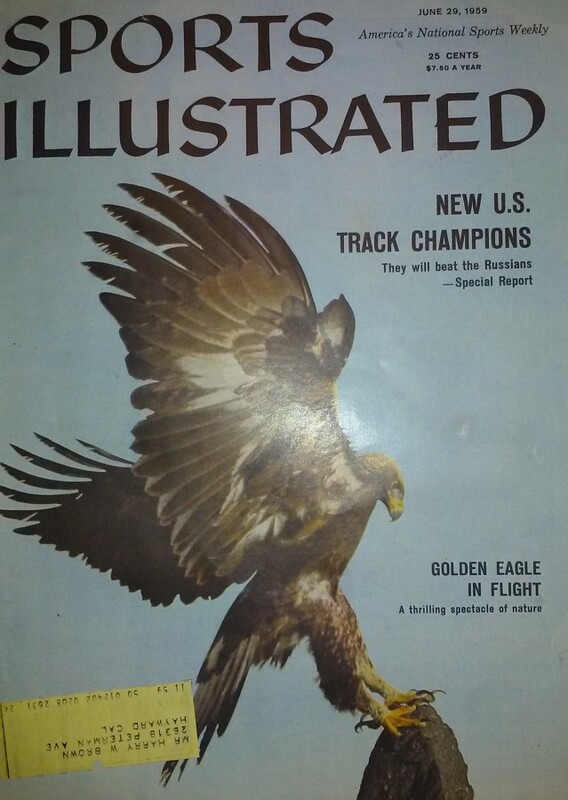 Included in the list are such storied master of the pitch as Dutch Leonard, Ted Lyons, Fat Freddie Fitzsimmons, Eddie Rommel, Roger Wolff — and now Hoyt Wilhelm. Today there are pitchers in Wilhelm’s own league, like Early Wynn and Frank Lary and Tom Sturdivant, who use the knuckle as an occasional spot pitch, a change of pace from their usual assortment of curves and fast balls. But Wilhelm throws it all the time. Bud Daley of the Kansas City Athletics might be tempted to do likewise, for he has an excellent knuckler too, except Daley hasn’t yet solved the problem of getting it consistently over the plate. Wilhelm has been a knuckle ball pitcher since he was 18, and this, finally, is the secret of his success. He has thrown enough of them and worked at it long and hard enough to be able to control the pitch. And this year, for the first time, he has been a regular starter, with opportunity of smoothing out the imperfections which always seem to arise when a pitcher doesn’t to work often or long enough. With the season not quite half completed, Wilhelm has learned to control the erratic behavior of his pitch to such an extant that it has been a factor in the pennant race, keeping the punch-less Orioles in contention most of the way. After winning nine straight, he lost his next two, once when the Detroit Tigers caught him on a night when the wind was blowing in toward home plate — always disastrous to a breaking-ball pitcher — and again when the Kansas City Athletics decided the only way to hit the puzzling pitch was simply to stick their bats out and just meet the ball. But Wilhelm is still 9-2, and his earned run average is so low that Hoyt’s line in the statistical records on the Sunday sports page looks like the last line in a batting column. Hoyt Wilhelm did not suddenly materialize out of Paul Richards’ desk drawer, of course. He came up to the majors with the Giants in 1952, and that season, as a rookie relief pitcher, led the National League both in percentage (won 15, lost 3) and earned run average (2.43). He also had a big year in ’54, when the Giants won the pennant. But in 1956 his control, which had been erratic at best, suddenly became worse. National League hitters, instead of swinging at the crazy thing, began to let the knuckle ball alone, waiting instead for the fast ball and curve which they knew Hoyt would throw when he got in the hole. And since neither would win WIlhelm a starting job with P.S. 33, the Giants let him go. He went from the Giants to the Cardinals to the Cleveland Indians (where Bobby Bragan gave him his first big league starting assignment after 360 games in relief) and, on August 23 of last year, to the Orioles for the waiver price of $20,000. 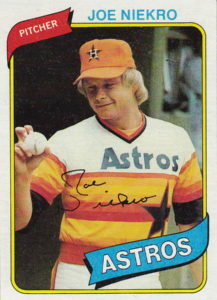 A month later he pitched a no-hitter against the Yankees. 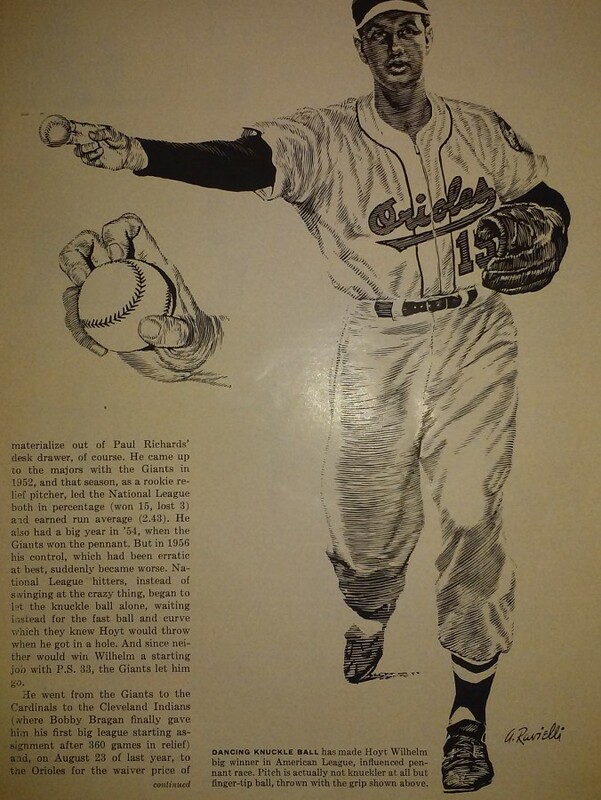 This spring Richards and the Baltimore pitching coach, Harry Brecheen, helped Wilhelm correct a few minor flaws in technique — he was flashing his grip before he threw and he had a tendency to groove the first pitch in order to get ahead of the hitters right from the start — and since then Wilhelm has been flirting with perfection. Perhaps confidence has as much to do with Wilhelm’s success this year as control. Now, instead of using the fast ball or curve when he has to get a pitch over the plate, he sticks to his knuckle ball, throwing it even in 3-and-0 situations. And he gets the batters out. Rick Ferrell, the Detroit Tiger general manager, once caught a Washington pitching staff which included four knuckle-ball pitchers, and this explains why Ferrell doesn’t have much hair. It could have been worse. Neither Leonard nor Wolff nor Johnny Niggeling nor Mickey Haefner ever threw the pitch more than 60 to 70% of the time, Ferrell says. According to Gus Triandos, the Baltimore catcher, Wilhelm frequently uses the knuckler 90% of the time and there may be days where he will throw nothing else. Wilhelm looks as if he might be able to pitch all day, every day. He stands out there, getting the sign with his head cocked strangely over toward his left shoulder (the Orioles call him “Tilt”), and then goes into a smooth, easy delivery. Unlike most knuckle-ballers, who throw the pitch with a stiff wrist, Wilhelm keeps his limp. “If I use a stiff wrist,” he says, “it makes the ball break too much.” To keep the ball from rotating, he flicks it forward slightly with his fingers at the moment of release. Wilhelm has a soft little knuckler which he is using now as a first-strike pitch, Richards explains. “He knows he can get this one over consistently, with at least enough break so they won’t cream it.” After that, there is not too much difference between any of his pitches. Most of them float up toward the plate with little or no rotation, and then they begin to do their tricks. Hoyt can throw one with just a little spin on it, too, “sort of a knuckle curve,” as he calls it, that always breaks down. But his regular knuckler is as likely to go in one direction as another. Can Wilhelm exert any control over the way the ball will break? “Heck no,” says Hoyt. “I wish I could.” Can he predict, even after he releases it, what will happen? “Nope, not even then.” Well, what makes it do what it does? “Air pressure,” says Wilhelm. Since air pressure also keeps Wilhelm from blowing up like a balloon and the walls of Memorial Stadium from crumbling to the ground, a trip was made to Johns Hopkins University to find out why the knuckle ball does what it does. There, on the second floor of Maryland Hall, sits a chairman of the famed university’s mechanical-engineering department, a tall, pipe-smoking professor named Dr. Stanley Corrsin, who saw Wilhelm pitch his no-hitter last year and has spent a certain amount of spare time since attempting to teach his son how to throw a knuckler. 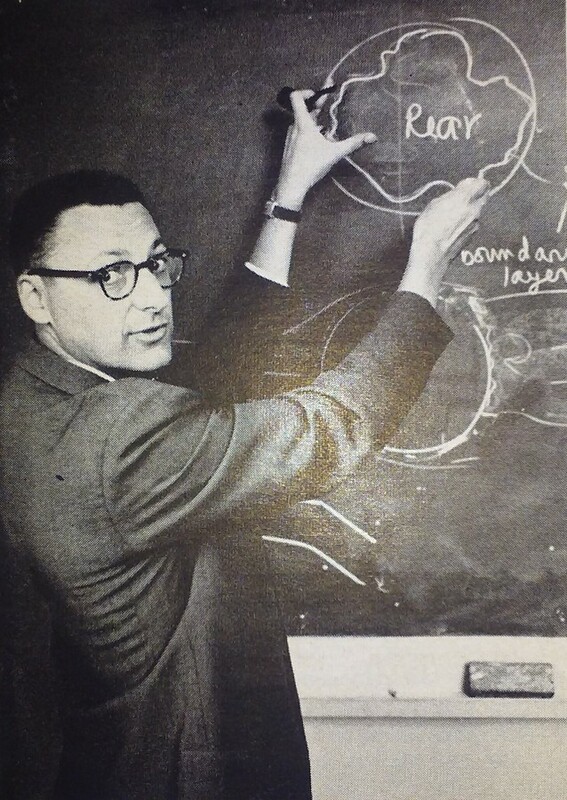 Dr. Corrsin, a graduate of Cal Tech, is an aeordynamicist and a specialist in the field of turbulence. He is also a baseball fan. For two years he has been trying, without success, to get one of his graduate students interested in conducting some research on the knuckle ball. Dr. Corrsin’s explanation of what happens when Wilhelm throws his knuckler is reproduced on the next page. Omitted, however, are any references to the Magnus Force, Venturi Effect, Bernoulli’s equation, angular velocity and drag coefficient. These might help clarify the situation for Dr Corrsin, but it is highly unlikely they will have the same effect on anyone else. Into the tube they dropped ping-pong balls, rotation-less ping-pong balls. The balls would descend in a straight line for a short distance and then dip and dart and shoot off to one side or another in a most alarming manner, displaying symptoms that would make Gus Triandos shudder in his sleep. By varying the force of the air stream, the class found that the balls would react more violently with a strong breeze blowing, less violently or not at all when the air flow was decreased. “If you would like to observe this phenomenon yourself, ” Dr. Corrsin said, “we can drop a few of these down the stair well.” And he scooped up a box of ping-pong balls from his desk and, with researcher in tow, hurried to the stairway of Maryland Hall. There was a three-story drop to the basement and, as Dr. Corrsin predicted, the ping-pong balls put on quite a show. For approximately two flights of stairs, they fell in a straight line. Then they would wobble and shoot off to one side or other, striking the concrete floor with a loud “pong” and bouncing around in the shadowy recesses of the basement. A large boxer dog materialized out of the semidarkness and began to sniff at the balls. “Leave them along, Max,” yelled Dr. Corrsin. Max looked up with only a slight curiosity, seemed to shrug a bit and went away. “He belongs to one of the professors,” said Dr. Corrsin. “He’s been around here for a long time.” This seemed to explain everything, although maybe Max just decided he couldn’t catch a knuckle ball either. “You sound like a golfer,” it was suggested. The flow of air around a moving baseball knuckler is always fairly irregular. This is because a baseball is a blunt object, as opposed to a streamlined object such as an airplane wing, and the air through which is passes must do quite a bit of hurrying to get out of the way. Generally, however, the flow is relatively smooth on the top and the sides of the ball. But once the air stream reaches the rear of the sphere it becomes confused. It no longer adheres smoothly to the surface of the ball but breaks away, some of it whirling on back into space, some of it sucked in close behind the ball to form a turbulent wake. This is much like the wake behind a boat, a whirling vortex of eddies and currents and agitated air. The point at which the smooth air breaks away from the ball is known as the separation point, and the line formed all around the back part of the ball by these countless separation points is known as the separation line. It is never a smooth line but a zigzag, erratic one, for the air breaks away sooner on some points on the sphere than at others. This is caused by a number of factors, including the raised seams of the knuckler, the imperfection of any sphere, gusts of wind, etc. In the case of the curve ball, which is thrown with tremendous spin, or a fast ball, which is thrown very hard and also with a relatively high rate of spin, the very fact that the ball is spinning tends to have a stabilizing effect on its flight. It smooths out the streamlined air flow even more, causes the separation point to occur further back on the sphere and reduces drag. The spin, since it is a somewhat overpowering force, also enables the curve or fast ball along a relatively smooth path, unlike the knuckler. Upper Left Caption: Curve ball spins forward. Unequal pressures force it into downward path. Upper Right Caption: Fast ball spins backward, will “hop” if pitcher can throw it hard enough. 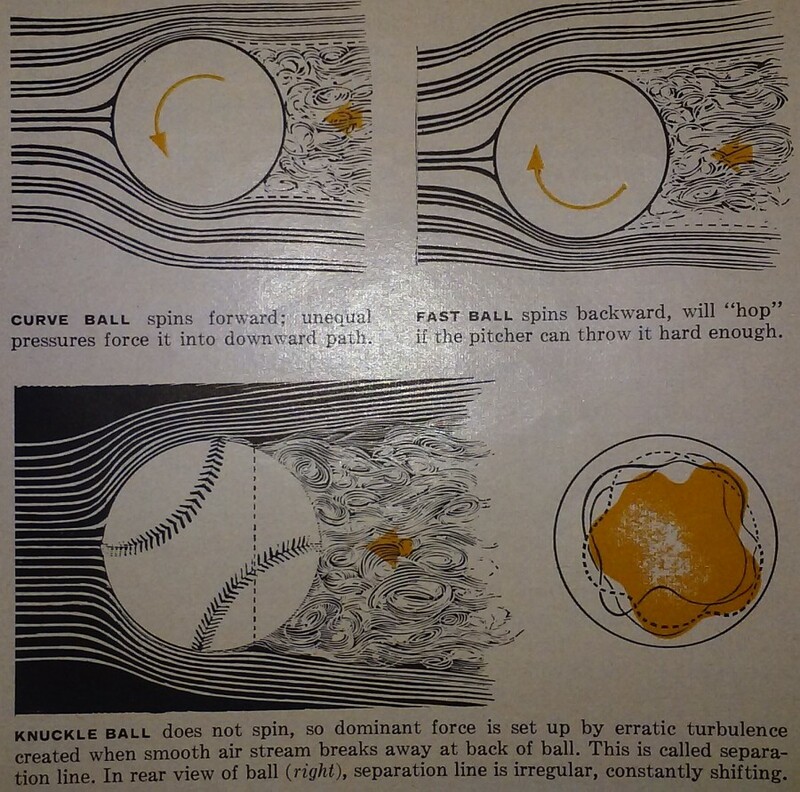 Lower Caption: Knuckle ball does not spin, so dominant force is setup by erratic turbulence created when smooth air stream breaks away at back of ball. This is called separation line. In rear view of ball (right) separation line is irregular, constantly shifting. The fast ball reacts in an opposite manner. Here the ball spins with a bottom-to-top or backward rotation, those streamlines are faster which pass beneath the ball and the pressure difference established in this case tends to force the ball upwards. In a normal fast ball, this only offsets the always-present force of gravity, and the ball proceeds on a straight path. 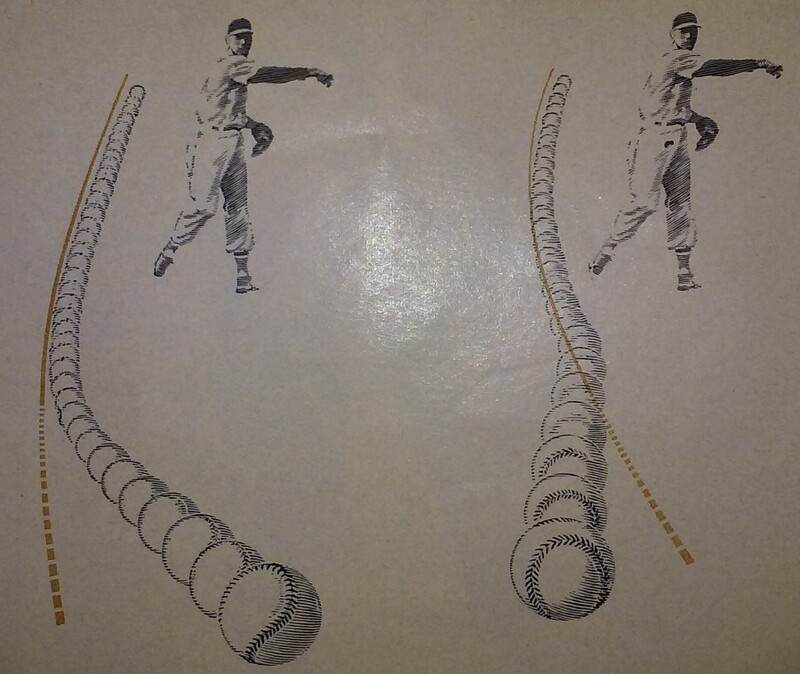 In the case of an exceptionally hard-thrown fast ball, such as those thrown by Herb Score or Don Drysdale, the ball will actually rise toward the end of its flight. This is the “hop” on a good fast ball. The knuckle ball, however, spins little or not at all; any slight rotation it might produce is so small as to have little effect on the ball’s course. The dominant factor, therefore, is the interaction between the separation line and the turbulent wake. And these confused, swirling eddies not only slow the ball down, they cause unbalanced sideways pressure forces. These forces will eventually cause the ball to go off course. This is why the knuckler darts and jumps. If the separation line was perfectly straight, for the pressure forces would be even. But since the separation line is highly irregular, so is the course of the ball. And since the separation line is constantly shifting and changing in its irregularity, the course of the knuckle ball may shift or change. The knuckle ball can change direction several times in flight. It is also well to remember that regardless of other forces acting upon the ball, gravity is always exerting its influence, too. Gravity does not make the ball break, but it does accentuate any downward movement. And that is why Wilhelm’s down-breaking knuckler is much more abrupt than the one which rises. Although the batter may be hard to convince, no knuckle ball — or any other baseball — breaks as sharply as it seems to. No blunt object obeying established physical laws can execute a sharp angle during flight. It hit me like a freight train. 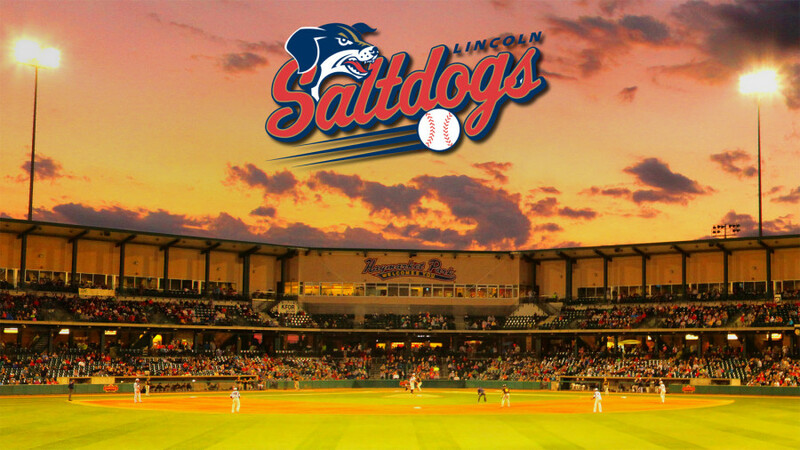 My first professional appearance took place in Lincoln, Nebraska, for the Lincoln Saltdogs. And mind you, I had never really played baseball before. I didn’t play in high school and I only played sparingly on a club team in college. But lets rewind this story a little bit before we get to the bullpen doors opening on that fateful day. We had to wear decent clothing to the ballpark; collared shirt, nice jeans and shoes that weren’t tattered. One day during the pre-season, after practice, workouts and showers, manager Tim Johnson came into the locker room. “Why skip?” some of the veterans asked. He’d ducked out the room without answering. As the eager rookie, I got my uniform on, made sure my hair looked good and trotted up to the luxury suites. I was the first one there. Inside the room was an impromptu television studio, complete with glaring, hot lights and a bright green screen that was draped over half the room. The TV people were bustling around checking cords, clicking buttons and focusing cameras. One of them picked up their head and noticed me. I gasped, “Yeah,” still sparkly-eyed ogling at all the equipment. I was posing for the Jumbo Tron. 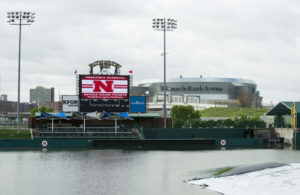 You know, those little snippets they have of players when they enter the game that play on a loop up on the video board. And before I could say, “Let’s do this again,” the busy-bee TV man rushed me off the stage. And as my eyes adjusted back from the bright lights, I could see that some of my teammates just witnessed the worst intro video in the history of baseball. Laughter erupted. The rookie had made a rookie mistake. The bullpen door bursts open and I start trotting in, making my triumphant professional debut. I cringe and sneak a peak at the Jumbo-Tron to see a very confused man, squinting and asking questions to the camera on a 15-second loop. It wouldn’t end until I was done with my warm-up pitches on the mound. Players fell over each other in the dugout laughing. My emotions were a mix of excitement, achievement… embarrassment, but mostly fear. Fear dominated my body and it sent cortisol and adrenaline coursing through my veins. I was energized and rigid at the same time. I could barely see straight. My mind raced at about 100 miles-per-hour. Time was flying by and I seemed to be on autopilot. It was one of the worst feelings I have ever had in my life. I was fortunate that day. I struck out the very first batter I ever faced; not just in professional baseball, but ever… and it happened to be Fernando Valenzuela’s son who was playing for the Saint Paul Saints at the time. I walked the next guy but got a quick double-play ball. I ran off the field shaking and that was it — one inning in relief. I had gotten through it. And in that one inning I realized that pitching is about mentality, even more than mechanics or fitness. The mind controls the body, and if your mind isn’t right, then you won’t pitch up to your potential. Period. So I have set out to discover how to get the mind right for the game of baseball. Nobody warned me how it would feel to pitch in front of thousands, and nothing could prepare me for that overwhelming (and slightly embarrassing) experience. I spent years reading, talking to players like Jon Huizinga, learning from sports psychologists like Dave Hilton, and I have come up with the best things I have learned and put them into an instructional DVD — Fingertips of a Safecracker and Mind of a Zen Buddhist. The knuckleball is incredibly difficult to pull off, and you need to execute it successfully 100 times or more in front of a crowd. You better get your mind right or you simply won’t be able to compete. Honestly, Fingertips of a Safecracker & Mind of a Zen Buddhist is the most important thing I have to teach anyone trying to learn this pitch. 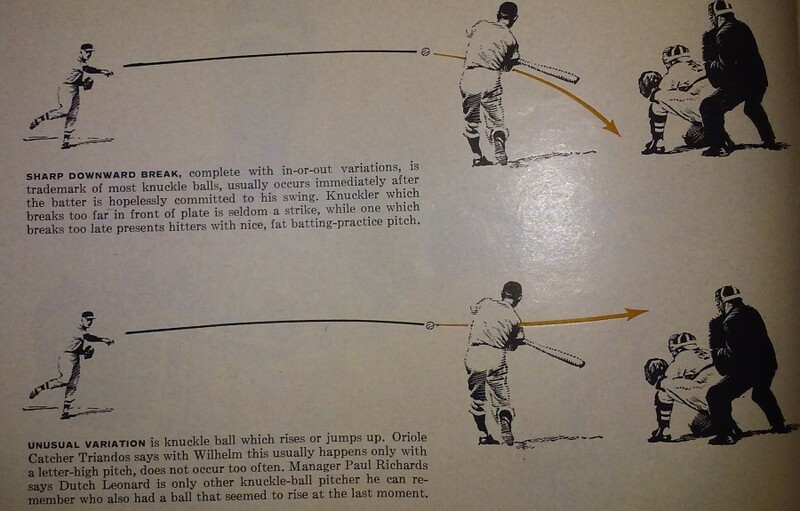 As I discussed earlier, there are a few different ways to grip the knuckleball. And if you can throw a ball without any spin at 65-plus miles-per-hour, than you’ve got a great knuckleball grip. But there are overwhelming similarities between the grips of the great knuckleball pitchers; guys like Phil Niekro, Charlie Hough, Tom Candiotti, Tim Wakefield, RA Dickey and the like. The grips of these guys are similar because they understand the basic rule for throwing a great knuckleball — reduce as many variables as possible to put yourself into a position to give yourself a chance of killing the spin entirely. When you start off learning the knuckleball, it can be frustrating. Heck, the pitch comes and goes when it feels like it and, get this, you never really master it. You just have a relationship with it. And it’s the most unstable friend that you’ll ever have. But because the pitch is so difficult to throw, even on a good day, you want to reduce as many variables as possible. Anything that you do that has a chance of putting even a tiny amount of spin on the ball must be eliminated, even if it feels comfortable. And today’s two tips are all about reducing those variables. To eliminate the spin you need to apply even pressure from two fingertips. This is a difficult task. If one of the fingers puts more pressure on the ball than the other, the ball spins. By adding a third finger, you make the process a lot more difficult. Now you have to apply even pressure using three fingers. All three fingers. A little more pressure from any of the fingertips and the ball spins. You’ve made you development 50% more difficult. Don’t do it. Put yourself into a position to give yourself a chance and use two fingertips. This is one of the most common misconceptions about the knuckleball. Many people, including pros, think that the pitch is thrown with fingertips dug into the seams. This couldn’t be farther from the truth. Your grip should avoid seams altogether. The fingers that stabilize the ball shouldn’t be on any seams. And take a look at your grip. If a seam is liable to catch a finger at any point as you release the ball, change your grip. Avoid the seams. Seams are raised. Seams have texture. Seams catch on skin and send the ball spinning. Seams are you worst enemy. Stay away from them at all costs. And stay tuned for the next part of this never-ending series about knuckleball grips… There’s just so much to talk about. 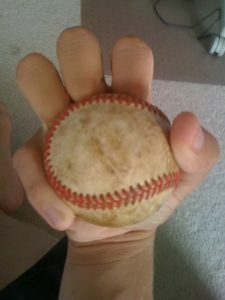 The foundation of any great knuckleball is the grip, but there is a lot of confusion out there about proper knuckleball grips. Now, I say knuckleball grips because there is more than one way to hold a knuckleball, mainly because all of our hands are unique. But that doesn’t mean that you can hold the knuckleball any which way you’d like. There are certain key points to a knuckleball grip that can’t be ignored. I have had the privelage of working with the greatest knuckleballers alive today — RA Dickey, Charlie Hough, Phil Niekro and Tom Candiotti. These guys broke into the Major Leagues and stayed there, enjoying long and fruitful careers. And they all hold their knuckleball similarly. It’s these similarities that make up the key points of a great knuckleball grip. And, yes, there have been guys who have gotten to the Major Leagues with funky grips, like Charlie Zink and Jared Fernandez. These guys held the ball differently; much differently than the guys mentioned above that enjoyed those long careers. So there is some evidence that unconventional knuckleball grips work. But the careers of Zink and Fernandez were short. In fact, Zink only pitched one game in the Major Leagues, earning himself a 16.62 ERA in the process. Fernandez fared a little better, getting into 31 Major League games with a 9.95 ERA. So, I think we can trust the “key points” found in the conventionally successful grips of Dickey, Hough, Niekro and Candiotti. The first and most obvious thing to discuss is that the knuckleball is thrown with the fingertips and fingernails, not the knuckles as the name of the pitch would suggest. Great knuckle ball pitchers curl their fingers around to make hooks and then they dig their fingernails into the rawhide of the ball. And when the ball is thrown, the fingertips guide the ball; applying pressure at just the right moment to send the ball flying without any spin. 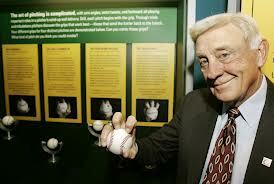 The greats — Dickey, Hough, Niekro and Candiotti — all use their fingertips. 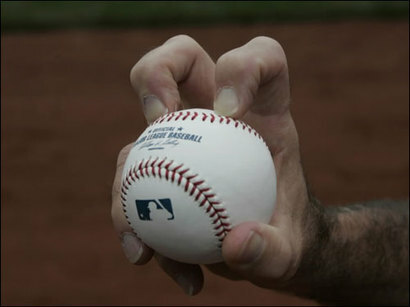 Zink and Fernandez used a hybrid knuckle ball grip, using their middle-finger’s tip and the curled knuckle of their pointer finger. Again, these guys got to the show, but they didn’t stick. So use the fingertips and not the knuckles. And next time someone says they have a nasty knuckler and shows you a knuckle ball grip like this, laugh at them. Check out the next chapter in a series about knuckleball grips coming soon! And all of this is discussed at length in the hour-long instructional DVD — Knuckleball Nation! Then take your game to the next level with the Advanced Knuckleball and Pro Knuck instructional videos! And get into premium knuckleball shape, mentally and physically, by ordering Fingertips of a Safecracker & Mind of a Zen Buddhist! And click here to continue on to Part 2 of the Knuckleball Grips series! This is the first year that I have really gone out and traveled the country putting on camps. Knuckleball Nation has been seen in Connecticut, Massachusetts, Georgia, Florida, Texas, Nevada, Arizona and California. And I hope this is just the beginning. Charlie Hough took me under his wing. RA Dickey has helped me through the years. Heck, he even supplies me with knuckleball catcher’s mitts. Tom Candiotti took time out of his life to teach me a thing or two. 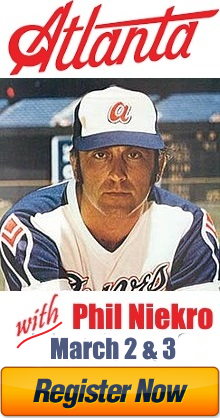 Phil Niekro took me into a professional stadium during the off-season for some work. Many of the great knuckleballers have helped me through this journey. They’ve been generous with their time and I have taken full advantage of it, gleaning bits of wisdom from all of them. When I hit the road. I share that wisdom, because without that wisdom, I wouldn’t have made it into the professional ranks. I would have been toiling around with the wrong approach for a long time until I finally gave up. So, when I put on a clinic, I pay forward their kindness and their teachings. I was pretty alone when I joined pro baseball. I was the oddball, the weirdo, the guy that the pitching coach couldn’t coach. And I think every knuckleballer feels this way at one time or another. But, by putting on regional knuckleball camps, we can come together as a community. You guys can reach out to me with questions and you can form friendships, reaching out to each other through your journey. Because it is always nice to feel like you belong and I want every knuckleballer to feel like they belong to the entire Knuckleball Nation. At each camp, you get to see me (and maybe Zach Staniewicz) throw a real-life, pro-quality knuckleball. This is going to give you a good idea of exactly what it takes to make it. And watching a pro accelerates your development. You can see how we approach the mound, how we move, where we throw the ball. And when camp begins, you can be armed with thorough questions. And, hopefully, you’ll get the answers that you are looking for. These camps allow us, as Knuckleball Nation, to come together; to help each other out; and, hopefully, to make the knuckleball a little more mainstream. We will get a knuckleballer drafted, and we will do it together! One thing you, as a member of Knuckleball Nation, get when you attend one of our camps is a personalized training video. You get filmed in super slow-motion with a specialized camera that films at 120 frames per second. That means your delivery, which takes only a few seconds to complete, gets lengthened out to about 30 seconds of smooth footage. This really helps to develop your knuckleball in a variety of ways. First, is that we can see all the key points in the delivery — whether or not you’re using your whole back foot for balance with good dorsi flexion, whether you continue that balance with the proper front foot strike; we get to see the action of your back knee, how your hips drive the delivery, whether or not your back shoulder stays where it is supposed to stay, and we can see the release. The holy grail of the knuckleball, what everyone is searching for when trying to develop this pitch, is the release: you have to “get through the ball,” as Charlie Hough would say. Now, getting through the ball is a very difficult thing to do and it is even more difficult thing to see in real-speed. But slow-mo video allows us to take a look at exactly what is happening through the knuckleball’s release. It is an objective learning tool that can help you learn how to release the knuckleball like a pro. Of course, the release of the knuckleball is just a product of the house you’ve built. 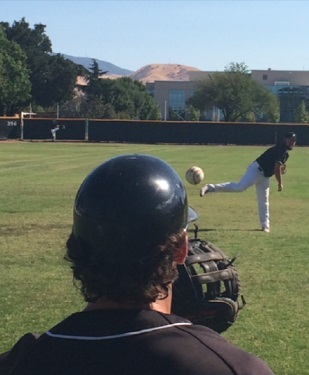 Your mechanics, more than any other pitch, need to be knuckleball-specific and flawless. Otherwise, you are going to toil with inconsistency, blindly performing the mechanics correctly one day and missing a step on another day. And without being able to correctly identify the problem by knowing all the steps, from the feet up, you are going to have wildly successful days peppered into a bunch of mediocre and bad days. So check out the video above and see if you can tell how well everyone’s delivery is put together! Nation – I have been pretty busy. I’ve taken about three months off of throwing and am just starting to get back into the swing of it. I consider myself lucky to live in LA where I get to throw outside year-round while the rest of the country gets slammed with a winter freeze. And as I get back into throwing, I am re-invigorated. I love the challenge of getting better and making my way towards the Major Leagues. AND I enjoy throwing, talking and working on pitching with fellow knuckleballers. There’s nothing like the energy that comes from a bunch of guys getting together to work on the same goal. With that in mind, I am proud to announce Knuckleball Nation’s country-wide tour starting in 2015. I will be making my way to different cities across the US to run camps, share my wisdom and, hopefully, help bring the knuckleball community together. After all, I started this website in order to help make the knuckleball mainstream by connecting those around the glove that enjoy throwing the pitch. 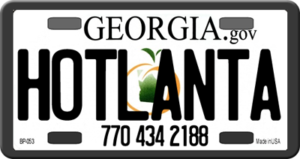 The first every East Coast camp for Knuckleball Nation will be taking place in Atlanta, Georgia, at the end of January. We’ll be getting together at an Atlanta indoor baseball facility on Saturday, January 24th, and we’ll wrap the camp up on Sunday morning, January 25th. But, don’t worry if you can only make one day; you’ll be able to register for just the 24th or the 25th. Later on, in March, we’ll be running the same style of camp in Boston. Again, running in the afternoon on Saturday and the morning on Sunday so that knuckleballers have a chance to fly in on the morning of Saturday and fly out during the evening on Sunday without missing a beat. More camps may be announced if there is enough demand. So, if you’re interested, send me an email, text or call. Perhaps you’ll get me flying to a city near you to throw some knuckleballs. For dates and to register, click HERE. Nation, I have been inundated with a bunch of demand. You guys have gone out, watched the instructional DVD and now you are thirsty for more answers. You want to know the ins and outs of the knuckleball. You want to know how to manipulate the movement without changing your arm action. You want to know how to change speeds and just how to release the pitch. And you’ve signed up for the Las Vegas Camp in droves to get those answers. But not all of you are able to get out to the desert this Fall. That is why I chose to expand the products list on the Knuckleball Nation website. You can now purchase a DVD called Advanced Knuckleballing – an Instructional DVD. This DVD builds on the foundation laid out by the original DVD, called Knuckleball Nation. Now, since we’ve got a graduated DVD system, that original DVD is now called Knuckleball 101. Make sense, right? This new DVD, Advanced Knuckleballing, really gets into the nitty gritty. It explores all the new questions that you’ve developed watching the original instructional video. It shows you where to throw the ball depending on the weather, the runners on base, the inning and the out. It tells you how to change speeds by freezing your hips and not your arm, and it tells you how to manipulate the very movement of the knuckleball itself, which is extremely high level instruction. If you can get a grip on that, then you own the Knuckleball! Essentially, this DVD is vital for the competitive pitcher. I take my personal, professional baseball experience and break it down for you — tell you exactly how to compete with the game’s most frustrating pitch. If you want to be a pro, get Advanced Knuckleballing and look into an Online Video Assessment, personal lessons or look for a KNUCKLEBALL NATION Camp near you! I first met Jon Huizinga years ago. He was in his late 20’s and rehabbing quite a horrific elbow injury. In fact, he was told that he’d never play baseball again. But there he was, sitting in an indoor baseball facility in Scottsdale, Arizona, getting ready to throw a bullpen. We shook hands and talked, and we saw each other there quite a bit through that winter. 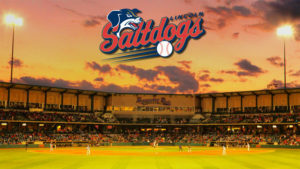 Then I got signed to play for the Lincoln Saltdogs of the American Association. He got signed by the St. Paul Saints of the very same league and I made my professional debut against his team. A few years later, we played together on the Calgary Vipers and, more recently, we were teammates in Arizona playing for the upstart Freedom League. We even got selected to participate in a baseball reality show hosted by Cal and Billy Ripken for CBS, though I don’t think that will ever air. We’ve crossed paths quite a bit over the years and remain in touch. And as a conventional pitcher some two years older than me, I thought Jon’s professional playing days were over. His local independent league, the Freedom League, folded. And with two young kids, a profitable self-employed coaching job and a beautiful wife, I thought for certain it was done. But he kept throwing into his Pitching Tunnels. He kept working on his body, through nutrition and new-age workouts. He kept practicing exactly what he preached. And, most importantly, he never lost his positive attitude. He believed, against all odds and reason, that he was going to make it. Every time that I saw him over the years, he’d have a smile on his face and say something along the lines, “One step closer to the Major Leagues, buddy,” and give me a high five. And that’s where his real power shows — his positive attitude. Baseball is always fun for Zinger. 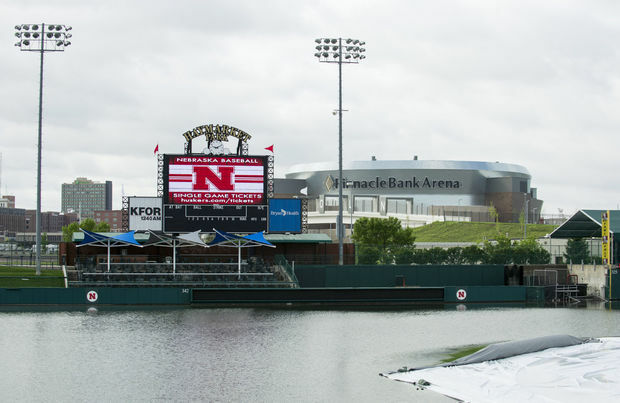 A bad day at the ballpark beats the best day outside of it. And I believe that his positive attitude willed what happened last week. Last week, against all odds, the 34-year-old signed a minor league deal with the Brewers. And he wasn’t even playing independent baseball. He didn’t get “picked up” out of a pro indy league. Rather, they just signed him because of a tryout that went well in Arizona. Jon Huizinga’s prophecy, the one he spoke of positively every time that I saw him through the years, is coming true. The question is, do you believe that you can do it, too?